Exciting new inscreen solar controlled blinds! 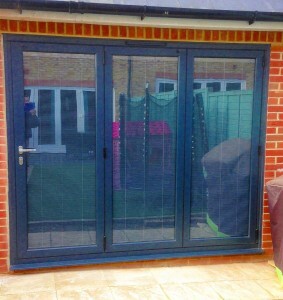 Introducing the “W-System Swipe” integral blinds. Wire-free, solar powered eco-friendly and fully automated. 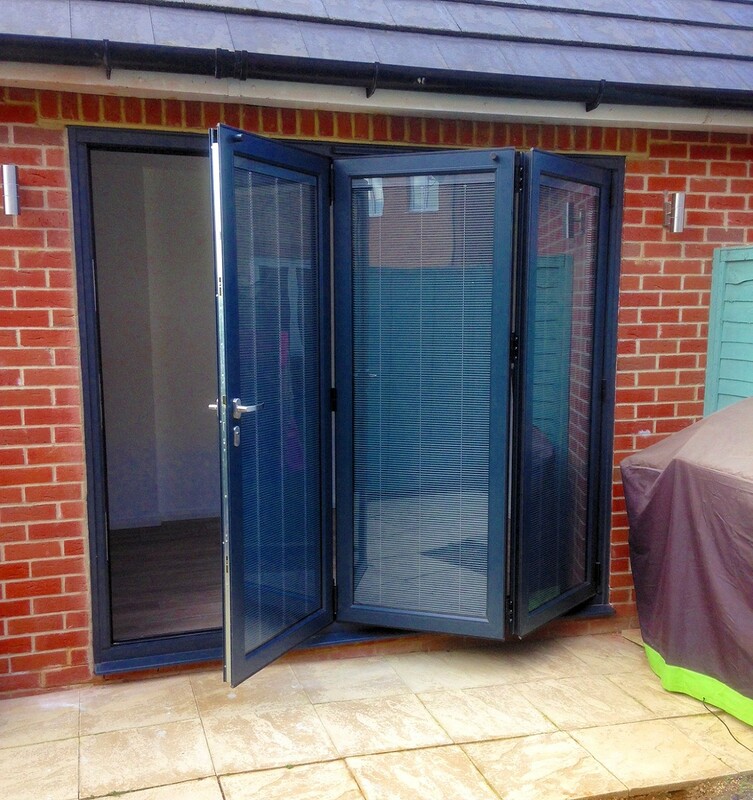 Perfect for a sunny kitchen/diner with bifold doors. First there was manual. Then there was motorised. Now there is solar powered – the ultimate in “blind envy”! The latest in innovative and ecological Italian design, the W-System Swipe Uni-Blind features a control unit that operates the opening, closing, raising and lowering of the integral blinds with a simple swipe (how easy is that?!) – an action familiar to anyone using touchscreen tablets or smartphones. This is powered by a discreet solar panel mounted on the exterior frame or through long-life rechargeable batteries – no hardwiring is needed so installation is easy with no electrician required. Choose from Venetian or pleated blinds encapsulated within a 20 or 22/27mm cavity double-glazed unit. Inscreen blinds – what’s so good about them? The beauty of integral blinds is that they are neatly sealed inside the double glazed unit; they don’t get dusty, so don’t need cleaning – and are out of harm’s way, so stay looking new for longer. They are available in a wide range of colours to suit different choices of home décor – and are available in Venetian and pleated blind options. 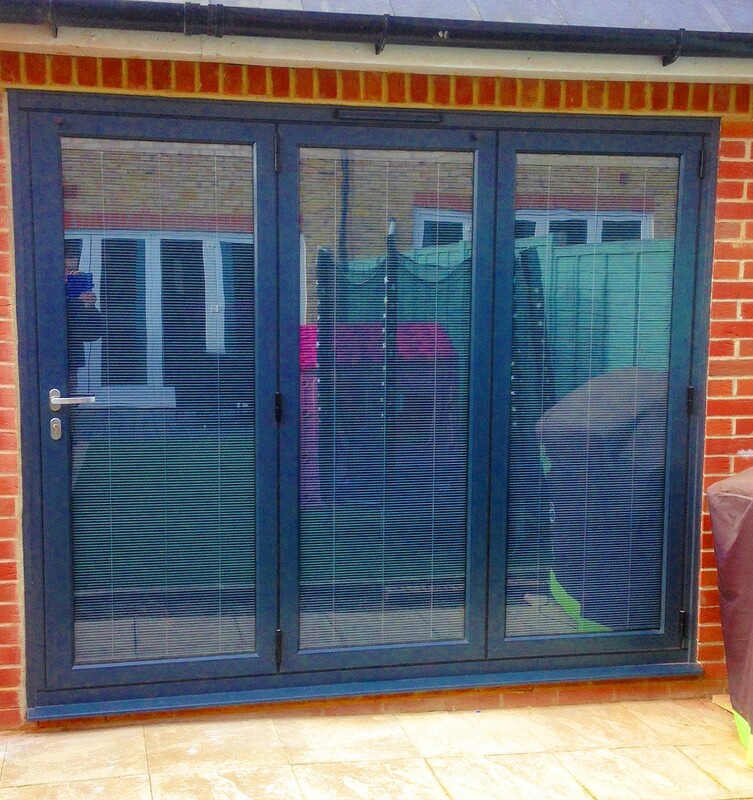 The photo above shows our Origin 3-panel bifolding door in anthracite featuring complementary anthracite inscreen Venetian blinds. The standard manual version of these blinds is available to view and try out at our Bushey Arches showroom. Please contact us if you’d like to know more!